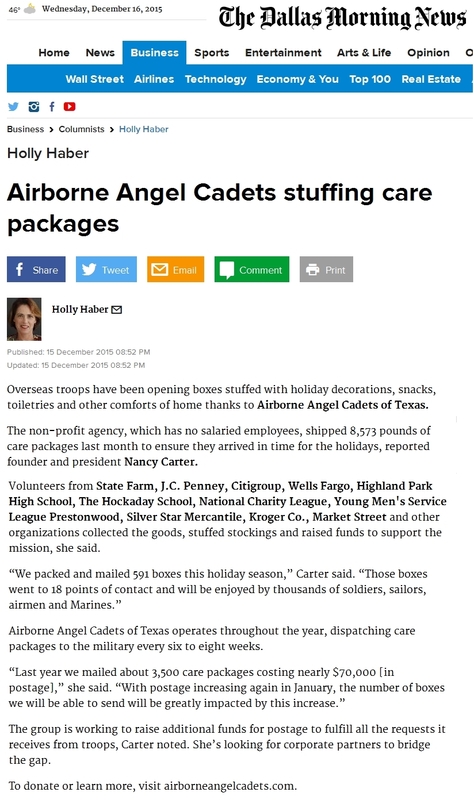 A big thanks to Holly Haber of the Dallas Morning News, who wrote a great philanthropy article on the Airborne Angel Cadets of Texas and our continuing efforts to mail care packages to U.S. military troops overseas. 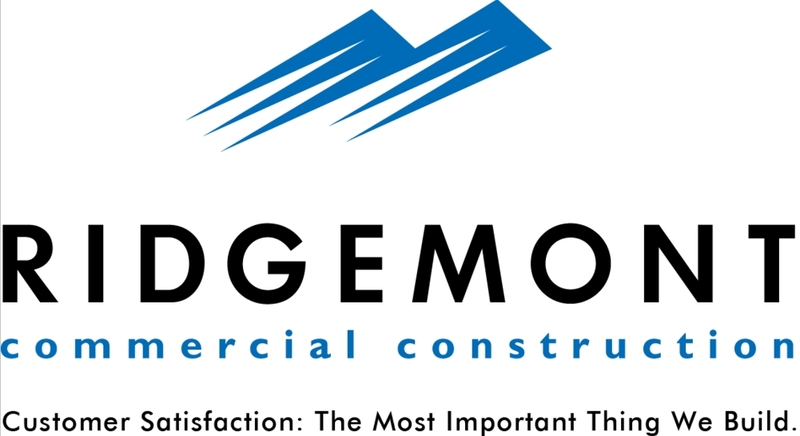 We are hopeful our supporters across the USA will be able to help our all-volunteer nonprofit raise an additional $70,000 in the last 2 weeks of 2015. The Airborne Angel Cadets of Texas is an all-volunteer 501(c)(3) nonprofit, with about 100 volunteers in the DFW area. We have been shipping care packages to Soldiers, Sailors, Airmen and Marines (from all 50 States) for about 10 years. We pay USPS postage costs on every box mailed, so that is by far the biggest expense we have. If you are looking for a way to support our American troops overseas with care packages, we would greatly welcome your year-end financial donation. We have an online donation program ('Donate Now' image at top of page) or checks can be made payable to: Airborne Angel Cadets of Texas, P.O. Box 116691, Carrollton, TX 75011.